Several times people have asked me how I learned English. To that, I replied “Practice, practice and practice the four skills: speaking, writing, listening and reading”. My teachers also always said that practice is the only way to improve and I proved that it is true. 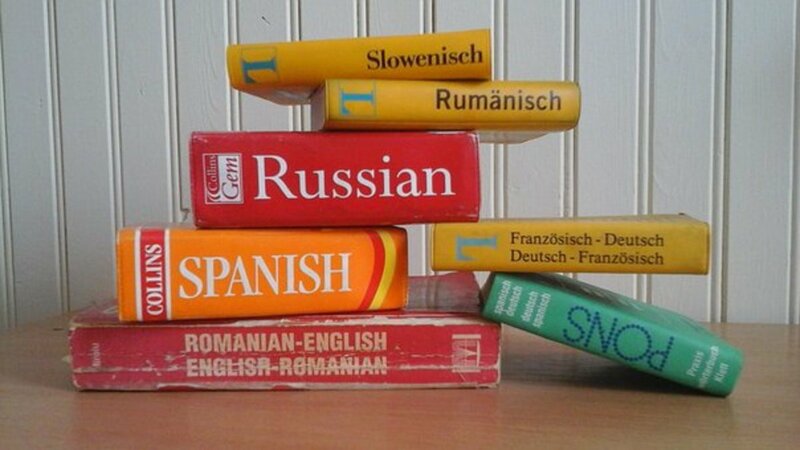 Let’s go back to our childhood, how did you learn your mother tongue? It is likely that you do not remember in details the process due to you was a baby and people rarely remember that stage. However, we know the answer because we have observed how babies learn to talk, how children learn to write and how children understand what someone says and writes. Consequently, you may realize that you were surrounding by the language; therefore, now it is quite simple to speak, write, read and listen to your own language (well, no perfectly, but at least you can handle it). Now, second language should be in this way as well; nevertheless, as we are conscious about the procedure, ESL learning becomes harder. Grammar rules, phonetics, intonation, idiomatic expressions, and so on and so forth; those are factors which cause us trouble and impede communication and understanding. For instance, for Spanish learners ESL writing and speaking is an issue because the way we write is the same as we pronounce words; however, in English is different. Besides, some cognates can aid to understand language better or it could be the contrary, so we must be careful. So, how can you learn English if you do not live in United States, England, Canada or any other speaking country? Well, try to create an English environment. I remember that when I decided to start English learning, one of the first things I did was to put in my MP3 just music in English, at the beginning I did not understand everything, but at least, I could get the intonation and get some ideas. There are good singers and bands simple to understand such as The Beatles and Adele. Also, if you like TV series or movies, watch them in English, ideally without subtitles. Another idea which I have just done recently, it is to do dictation; there is a useful website which I strongly recommend (see later). Why i prefer you dictation? because you will able to understand what you are going to write. From this practice you will get experience of writing skills and listening skills too. Probable this is one of the abilities most important. Reading and listening are incomplete if we are unable to communicate. Personally, I believe that the crux of every language is communication. As we are living in a globalized world, communication among countries is easier and more liable that it used to be years ago. For some it is difficult to speak in English because they do not use it frequently. However, to learn English we must speak it. Thus, try to look for websites in which you can meet foreign people. Most of people on those pages are second language learners as well as you. The best is that you do not only speak but also you listen to it; thus, you are working on two skills at the same time. After being there, maybe you can be aware that your English is not as bad as you thought. 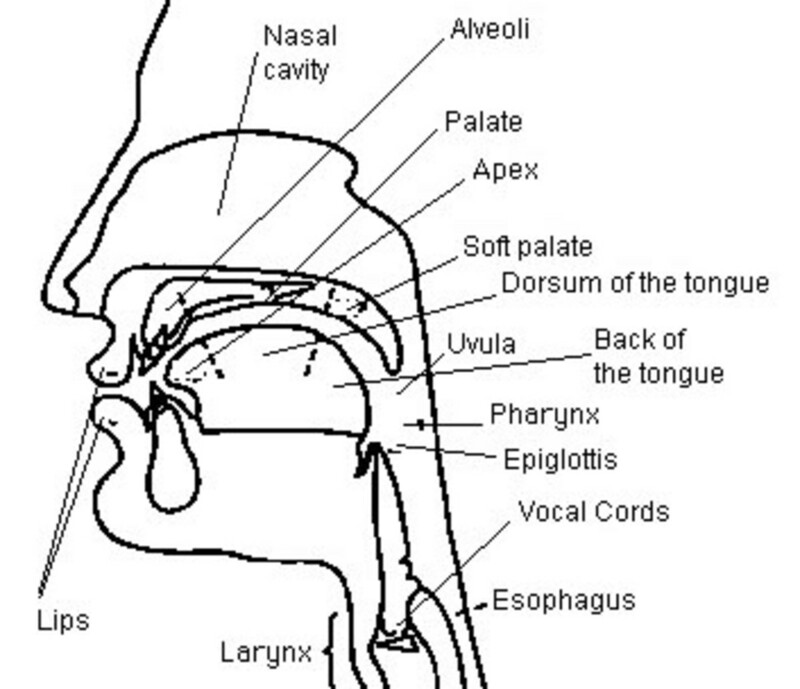 Another idea, it is to listen to and repeat words, phrases and speeches; these might help you in your pronunciation, intonation and ideas for future talks. As we know about practice makes some thing perfect. That's why i will force you to speak in English how much you can. And it is easy in front of me. Just make a gathering and try to speak in your created gathering. One day you will realize how much you improved your English. Never thing what you are saying or speaking, just think how much you have to speak and how you can convey your message in English. Regarding with reading, read things you like and read without looking up every word; attempt to get the idea according to context and some cognates (but as I said, be careful with false cognates). If you want, you can underline some unknown words and try to incorporate those words in your English vocabulary. Besides, read news in English. Maybe you can get an idea in your own language first and then read the news in English. Indeed, most of the information is much more complete in English. So that is one of the reasons to learn English. If you do this practice, i mean if you read daily a different paragraph from different sources. So your vocabulary will increase day by day. And one thing you should keep in your mind, that if you want to speak English Fluently so you should have lot of vocabularies. 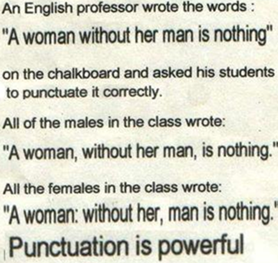 In this skill you do not only need vocabulary and grammar, but also need proper punctuation because depending on the punctuation could be the interpretation (see the picture). To begin with this skill, a piece of advice is to practice free writing; in other words, write whatever you want during some minutes without paying attention to spelling, grammar or punctuation. Later read that and try to do it better: look up words you are not sure, look up unknown vocabulary or search for proper expressions and punctuation. In this skill, you may study hard because you may study carefully, especially if writing is important for your major. In this lecture, I discussed about ESL learning process. I compared it with our mother tongue and how you could do a similar procedure to achieve English target. These are just recommendations, there is not any recipe to get the success; every human being is different, so you are the responsible of deciding what it suits better according to your personality and learning style. Anyway, always persevere; do not give up it is a long process which worth doing. It is important to direct own thought, in learning. We can acquire a lot, immersing, but then, to put it to practice, we need own thinking.